Pet damage? Stains? Cracking? We fix it all. Creative color restoration. Give your automobile a brand new vibe! Revitalization for restaurants, offices, & corporate spaces. New Color. New Boat. Give your watercraft a world class restoration. 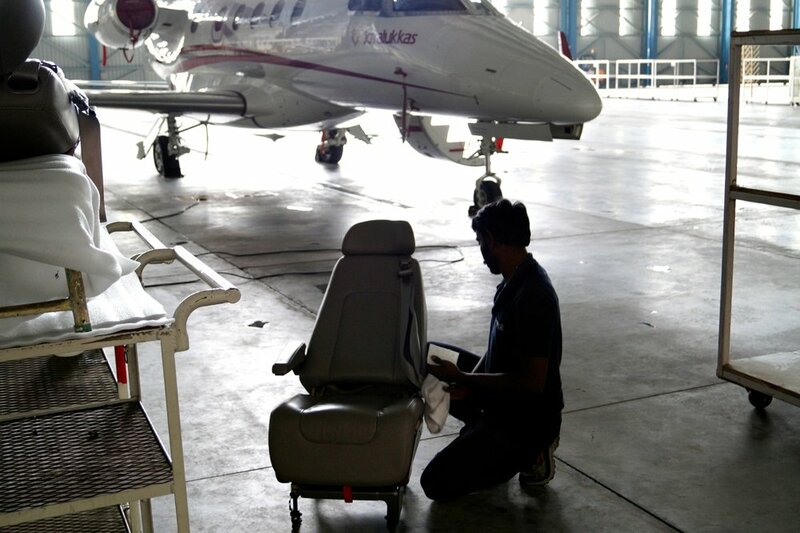 Color Glo is the only company certified to repair and restore your aircraft. Reclaim company assets. Bring medical / dental assets back to life! Color Glo Canada. Specialists in Color Restoration & Repair For Over 45 Years. Color Glo's mobile-based technicians will come to your home, office or other location to repair damaged plastic, vinyl, leather, fabric and upholstery. Worn, torn, stained, burned, scratched or otherwise damaged materials can be restored to like new for just a fraction of the cost of replacement. We’re proud of the fact that our franchisees make an extraordinary impact by engaging with their communities. Color Glo is proud to have founded a company that supports men and woman throughout Canada who take pride in owning their own home-based business and have the time that so many do not in today’s economy – the time to spend with family and loved ones. Color Glo Specialists are ready to help keep your investments like new. We provide cleaning, repair and re-dying services for these materials: Leather, Vinyl, Cloth, Velour, Fabric, Carpet, Plastic, Fiberglass & More! Own a world class franchise system and start making money today. Visit our franchise page and request more information about franchising in your area. Color Glo Canada proudly serves and supports its franchise operations in Canada. View our leadership and join a world-class organization. At Color Glo, we offer peace of mind, return on investment and proprietary products & services. Find a Color Glo franchise or specialist to help with your restoration needs. Color Glo Specialists around the world repair and restore, aircraft, marine, automobile, office, home and other materials that can crack, scratch, tear, fade, etc. Color Glo Canada is a leading franchise opportunity, specializing in color and restoration in the Aviation, Marine, Residential, Commercial & Automotive markets. "It would have cost me thousands to have my boat reupholstered, and Joe has it looking just like new for a fraction of what I would have had to spend. I just bought a classic car, and Joe worked his magic on that too. I would recommend his work anytime!" © Cgi Canada Inc 2017, All Rights Reserved.